BT IT Services has enhanced its welfare support to their engineers and improved internal processes with the implementation of Crystal Ball's solutions. 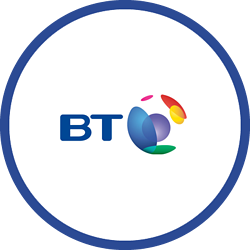 Created in May 2014, BT IT Services was formed through the merge of two existing BT Group businesses BT iNet and BT Engage IT. With 1200 employees, BT IT Services (BT ITS) is one of the UK’s leading providers of IT services providing specialist IT skills including design, delivery, management and support service. BT IT Services employs a total of 1200 employees across the UK, a large number of which work remotely and onsite dealing with all aspects of the IT industry. Following a brief trial of a vehicle tracking solution, BT ITS realised that this type of solution would not address their exact business needs. A primary requirement for BT ITS was to be able to effectively monitor their engineers’ locations at all times both inside and outside of the vehicles to improve real-time visibility. The company required a system that would not only monitor engineer’s locations in real-time but also have the ability to determine when engineers were in journey and to plot this data on a map. Furthermore, BT ITS was looking for a solution that would provide detailed reports on journey history and mileage and provide customers with accurate ETA’s of engineer visits. Secondly, BT ITS were also looking to enhance the welfare support to their engineers when working in isolated conditions and out of business hours therefore required a solution that would provide protection and peace of mind through panic alarm and welfare check-in functionalities. BT ITS conducted extensive research into the mobile tracking and lone worker protection markets and took the decision to implement Crystal Ball’s MobileTrack Pro, MobileLWP and MobileMonitor in May 2014. This decision was based on Crystal Ball meeting and surpassing BT ITS’s initial requirements that were identified. With MobileTrack Pro BT ITS can now have access to their engineers locations in real-time through a live detailed mapping system. This solution sits on the engineer’s smartphones and records journeys both inside and outside of a vehicle providing management with accurate reporting based on journey times and mileage. With MobileLWP in situ across the engineer’s smartphones, BT ITS can now monitor their welfare and safety 24/7. With the manual panic alarm functionality, engineers can now raise a panic alarm if ever in danger or in a vulnerable situation, alerting BT ITS’s internal Alarm Receiving Centre whereby alarms are dealt with accordingly. Additionally, when an employee initiates a new session a countdown timer is activated. When the timer expires the engineer is then prompted to check in. Failure to do so triggers an automated panic alarm which is sent directly to BT ITS. MobileLWP also offers an open audio facility whereby a predesignated phone number is automatically dialled when a panic alarm is activated. This allows management to listen in to the call and understand what necessary procedures need to be raised depending on the situation the engineer is in. Since implementing Crystal Ball, BT IT Services now has complete visibility of its engineering workforce 24/7 when in vehicle and on foot. With this data, the company has now enhanced the level of customer service it can offer by providing customers with accurate ETA’s and sharing their live locations via an email and web link allowing the customer to follow their journey. With MobileLWP the engineering team is now provided with continuous welfare and protection throughout their working hours. They can rest assured that if necessary they can now discretely raise a panic alarm adding extra security and benefit to the engineers and addressing relevant health and safety legislation. “Since implementing Crystal Ball we have noticed a reduction in external telephone calls being made. Communication between the engineers has also been improved"